Toshiba Corporation will be at CeBIT 2017, and looking to the future to demonstrate how its extensive know-how IoT and AI will contribute to solutions in energy, industry and society. 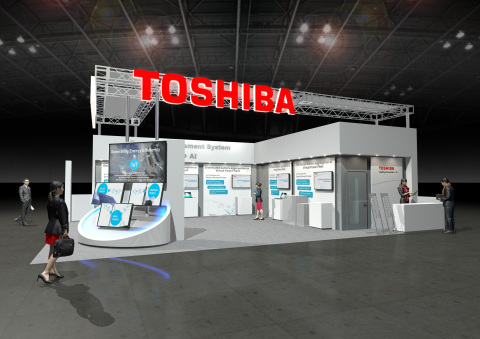 CeBIT, the world’s largest exhibition for digital business, will take place in Hannover, Germany over March 20 to March 24, and Toshiba will be in the Japan Pavilion at Hall 4, A38, (68), showcasing essential technologies under the theme of Create a New World with Japan – Society 5.0 Another Perspective -. The main exhibit will spotlight SPINEX, a Toshiba-developed IoT architecture that fuses know-how the company has cultivated in its industrial businesses over the long term. SPINEX has three main features: Edge Computing that intelligently performs data processing to improve time to action; Digital Twin that digitally reproduces the actual operating status of things in real time for accurate emulation and simulation; and Media Intelligence that integrates image and speech recognition technologies for recognizing human intentions. Toshiba will also highlight how its longstanding experience in power generation and infrastructure systems contributes to products and solutions that apply IoT technology in such areas as remote monitoring and control. This will include the “virtual power plants” demonstration initiative, a demonstration of how bringing Toshiba’s highly reliable rechargeable batteries, SCiB™ into the grid can realize advanced energy management capabilities, including demand response and integration of renewable energy sources. Toshiba fully understands power of IoT and AI in the industrial field —such as applying deep learning to clearing bottlenecks and error-checking at Yokkaichi Operations, Toshiba’s world-leading facility for NAND flash memories. Another display will show how the first deep learning testbed approved by the Industrial Internet Community is improving facility management at Toshiba’s Smart Community Center in Kawasaki, Japan. Recognizing that deep learning has potential in many areas, Toshiba has introduced it to a media-intelligence image and speech recognition system for application in sports. This technology can track the ball and players in both teams and automatically detect and track their movements, using only from video data, without any need for specific camera and sensors. It can be used live, during games, to assist developing offensive and defensive strategy. Toshiba further plans to fine its analyzing technology.